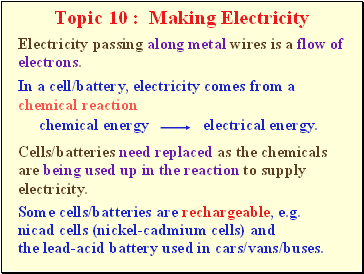 are being used up in the reaction to supply electricity. 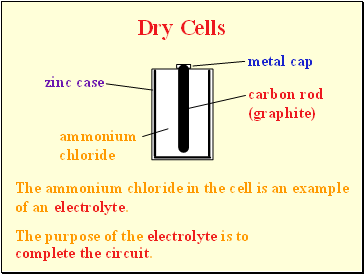 Some cells/batteries are rechargeable, e.g. the lead-acid battery used in cars/vans/buses. 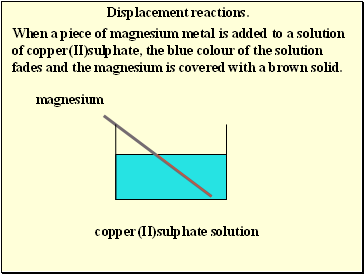 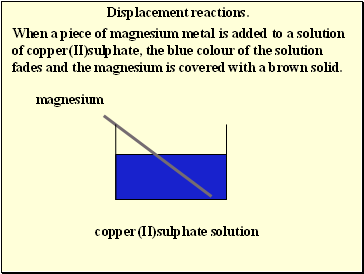 When a piece of magnesium metal is added to a solution of copper(II)sulphate, the blue colour of the solution fades and the magnesium is covered with a brown solid. 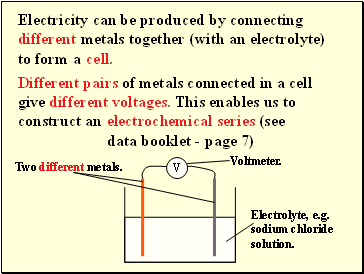 Cells/batteries compared to mains electricity.